So I backed up, a lot. I broke things down into small steps, “turtle steps” as Martha Beck calls them (SARK refers to them as “micromovements”). In fact, I recently completed life coach training with the fabulous Martha Beck, but how quickly I forgot about turtle steps. Actually, the truth is, I didn’t forget about them. It’s just that my inner perfectionist doesn’t have time to break things down into turtle steps! I’ll never get anywhere that way! In fact, for me, making things “too big” is a great way to never get anywhere. Making things too big is a great way for me to drown in the sea of overwhelm. So this is it. This is my first blog post. It feels a little truncated to me (is that my perfectionist talking? ), but it is what it is. I made it “small” enough to get it written. ﻿In my next article, I’ll go into more depth about how I get myself to the point where I’m drowning in the sea of overwhelm, and how I get myself out. And the next time I eat the pink frosting off a chocolate cake, I promise myself, and you, that I will be present for every second of it. Thank you so much, Jenna! Your support has meant so much! I can SO identify. I look forward to reading more posts. I have learned to never start my blog posts with an apology about why I haven’t written. It’s irrelevant…I’m writing now. 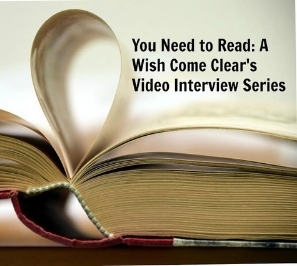 Thanks so much for reading, Janice, and for your thoughts! Much appreciated. Great first post. Way to jump right in. I really enjoyed it. Hey Kristin, thanks so much for stopping by and for your encouragement! 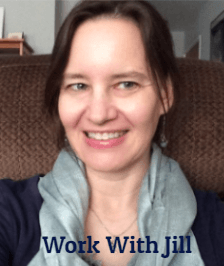 Congrats Jill on your first Blog post! A great read and I look forward to reading more. Jill, here’s to being kind to yourself while you continue to navigate the journey. Allow yourself the pink frosting- and pat yourself on the back that you started this great blog and wrote a beautiful post! Danielle, thanks for your wonderful thoughts and I’m so happy you stopped by! I love that you posted the word “woah” even though you didn’t know how to spell it (is there a “right” way to spell it? 😉 ). What an apt tie-in with the “Glee” episode, and thank you for reminding me to allow myself the pink frosting! Jill, I enjoyed reading your first blog post and can really relate to what you have said about perfectionism and procrastination! I will be back for more adventures of these twin evils – procrastination and perfectionism! Good stuff Jill. Very nice Jill. I enjoyed the reading. Thanks so much for reading, Dan!